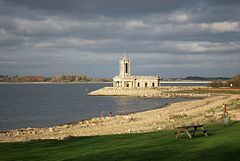 Rutland Water was in excellent form last week with an overall rod average of 4.04 which is excellent for the time of year. There were days when good numbers of fish were moving in many areas of the reservoir. Anglers were treated to good quality rainbows in the 3-5lb range with some good Browns also showing. Most fish fell to nymphs and dries with fish feeding hard on pin fry, damsels and corixa. Robbie Winram, a familiar face behind the counter at Rutland tackle shop, fished last Thursday and came across good numbers of fish down the North Arm. Robbie chose to fish tight into the bank with dries and nymphs held up with a small booby on the point. He took Rainbows estimated up to 4½lb and a Brown around 3½lb. England Youth team members Graham Haywood of Empingham, and Toff Crowther of Oakham, gave dry fly an outing. The pair came in contact with a number of fish using this method with the best being a 5lb Rainbow. Season ticket holder and local guide Al Owen, fished with Martin Rowson and had a day to remember last Saturday with an excellent haul of Rainbows up to 4lb 6oz from the deeper waters of the North Arm. The pair used tube flies on sinking lines and remarked that although they were over deep water the fish were found to have been eating good numbers of this year’s pin fry. Other anglers who reported notable fish were Stuart Hills and Dougie Valentine who managed a 4lb 10oz Rainbow and a 4lb 8oz Brown respectively whilst fishing in the Police South East region competition last Thursday. Richard Cooper won week seven on a very blustery evening with a strong westerly that prevailed until the last part of the evening. Eleven anglers managed 31 fish with the aerators and the fishing lodge frontage the best spots. Most anglers pulled lures with numbers of fish following and showing despite the conditions. We are just past the half way point in this year’s league and the title is still wide open. Keith Jones holds top spot with 37 points, with Richard Cooper only one point behind on 36, Graham Hayward is third with 32 points and Chris Evans is in fourth with 27 points. The league continues to mid August and is open to everyone and there’s no obligation to fish every Tuesday. For most anglers it’s an enjoyable short evening get together with friendly banter and the option to buy a fish and chip supper, with a customary complimentary drink available courtesy of Anglian Water. Prospects look very good, with more overcast conditions forecast this week. Bigger fish are starting to show, including numbers of surface feeders eating damsels, corixa and this year’s fry. The fishing lodge harbour has seen good numbers of this year’s perch fry move in, a good few of these are already 1- 1½ to 2 inches in length so it won’t be long before it will be worth giving small floating fry patterns an outing. Top patterns at the moment are various dries/emergers, diawl bach, crunchers and hares ear, damsel nymph, for deep water work tube flies and snakes have caught a few fish. Best methods Bank – floating line nymphs/dries. Boat – as for bank and include various sinking lines with small lures/snakes/tube fly. Best Rainbow 4lb 10½oz taken by Stuart Hills. Best Brown 4lb 8oz taken by Dougie Valentine. Best bank areas Normanton, Sailing Club to New Zealand Point, Old Hall. Best boat areas The main basin, fishing lodge frontage, bottom of both arms, around the shallows. Mid week boat winner A Spittlehouse of Doncaster. Beginners courses 26 July; 1,13 & 16 August;5,13 & 27 September; 4,10,24 & 31 October. Grafham Water has continued to fish well for both bank and boat anglers. The best fish of the week was a 5lb 3oz Rainbow taken by Alan Prevost whilst fishing for Invicta in a friendly match against GWFFA. 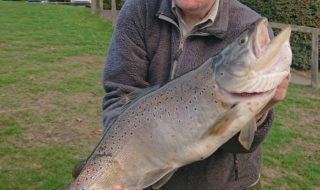 Boat anglers have enjoyed good sport from a number of areas around the reservoir – particularly the Willows, Hedge End, Deep Water Point, Boils, Dam Valley Creek and A and G Buoys. Boat anglers have had the best results from fishing Di3 lines with f.a.b’s, tequila blob booby, GRHE and diawl bachs, or floating lines with GRHE, cormorants, diawl bachs and damsel nymphs. The best bank fishing has been on the Dam and Plummer Bank, with floating lines with GRHE, diawl bachs, shrimp patterns and damsel nymphs getting the best results. This friendly match was fished from 9am to 6pm with an hour break for a barbecue lunch at the fishing lodge. 32 anglers fished the event with the top six boat pairings from each team contributing to the final result. Invicta won the match with 110lb 14oz with GWFFA weighing in 46lb 0oz. Top individual was Yvonne Webb from GWFFA. Yvonne caught 8 trout for 19lb 4oz by fishing a slow glass line with a black booby at the Willows. The best fish was taken by Alan Prevost from Invicta – a cracking Rainbow of 5lb 3oz taken at the South Dam on a floating line with a diawl bach booby. Ten anglers fished this week with top spot going to Chris McLeod who caught six fish. Second place went to David Moore who caught three fish. Both anglers fished floating lines with GRHE, 100 yards down wind off the Boils. Best Rainbow 5lb 3oz taken by Alan Prevost of Over. Best boat areas Dam, Hedge End, Deep Water Point, Valley Creek, Willows, A and G Buoys, Boils. Best bank areas Dam, Gaynes Cove. Mid Week Boat Winner Mark Birch of Little Staughton. There are restrictions around the dam tower. These are marked by buoys. Please do not fish or anchor beyond the buoys. There are underwater pipes and equipment which need to be protected. Beginners courses 17,19 and 23 July; 2,9 and 23 August; 6,16, 20 (Pike) & 25 September; 3 & 18 October. With changeable weather conditions fishing has proved challenging. 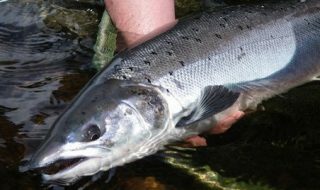 Fish are still in the margins preoccupied on damsels but have been harder to tempt. However, the fish that are coming out are in fantastic condition. Bob Aves caught and released a superb Rainbow this week, estimated around 8lb. Bob fished a floating line and diawl bach. Mr D Finch-Noyes had two Rainbows of 4lb 8oz and 3lb 4oz. Season ticket holder Mr Hickman had a Rainbow of 5lb 2oz. Season ticket holder Nick Nicholson of Haselbech, Northampton, took a lovely full finned Rainbow of 4lb 6oz, fishing from the bank on Sermans. Pitsford hosted the AMFC Group 3 match with 35 anglers taking part. Conditions were not ideal with bright conditions and temperatures around 25 Celsius. The top team on the day was the Greylags with 24 fish for 50lb 13oz. Second place went to Mid Northants TFA with 16 fish for 30lb 4oz. Top rod, and the only angler to catch his limit, was Al Grice-Jackson with 8 fish for 17lb 6oz. The best fish was a lovely Brown trout of 4lb 11oz taken by David Moore of Invicta B. Best methods are floating or midge tip lines and teams of nymphs, diawl bachs and crunchers. Most areas of the water are producing with fish clearly visible feeding in the margins. Best Brown 4lb 11oz taken by David Moore. Mid week boat winner Mr A Bourne of Newport Pagnell. Join us at our weekly fly fishing club for an evening of boat fishing from 5.30pm until dusk every Tuesday evening until 11 August. All anglers are extremely welcome, especially beginners. Beginners courses 18,25 & 31 July; 8 & 22 August; 4,9,19 & 26 September; 11,17 & 25 October. A mixed week of sport at Ravensthorpe . Some days the fish have been difficult to tempt, but on cloudy, overcast days the fish have been up in the water and fantastic sport has been had. Darren Lee had a fantastic afternoon from his float tube on Thursday taking over 30 fish on crunchers. Mark Draper enjoyed a good afternoon on Saturday, taking 16 fish drifting across the main bowl using small damsels. The best methods have been floating line, crunchers or diawl bachs fished washing line style, damsels or small nymphs or dries like foam daddies, hoppers or cdc’s. The dam is still fishing well from the bank using the same methods. During last week’s Thursday Night fishing club Mick Griffin’s winning run was brought to an end when he was outfished by regular John Smith. John took six fish using diawl bachs on a washing line fished in the Boils. Best boat areas Main Bowl, Catwalk Corner. Mid week boat winner John Juckes of Wigston.